Why do we, too, like pats for that matter? Think it’ll turn into a handsome prince? Image credits Juda / Pixabay. If you happen to have a little, warm ball of fur to call your own back home, you know how much they love to be pet. But why do they like it, exactly? And do we humans like to be pet, too? Let’s find out. Dogs love belly rubs. 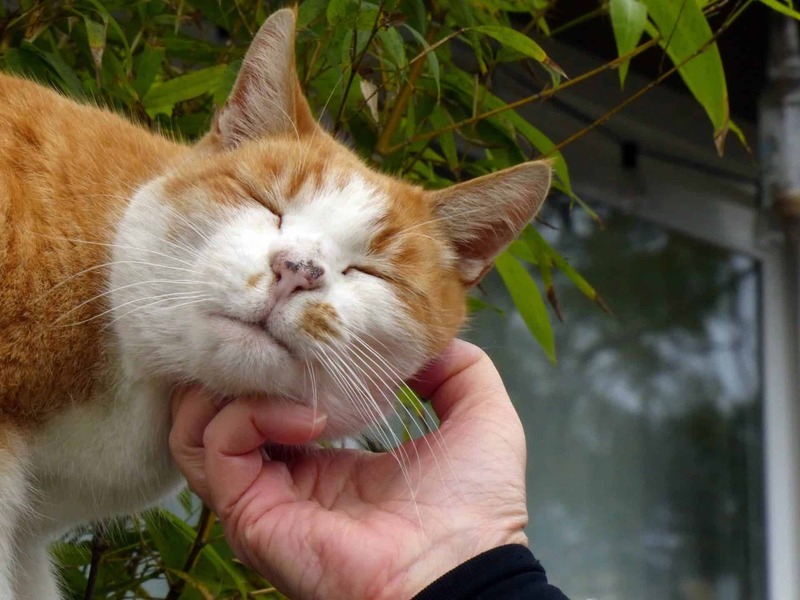 Cats break into a purr when you scratch that one special place between their ears. Hugs give us comfort and pleasure. If you hit your hand on something, a quick rub will reduce the pain. All of these are fundamented on the sense of touch and show what a massive role this sense plays on our emotional state. While not all touches are pleasurable, all mammals seem to agree that a longer, slighter stroking motion feels good. This particular type of motion stimulates a set of neurons known as MRGPRB4+, reported this study published in Nature Neuroscience in 2007. The authors worked with genetically-engineered mice, whose MRGPRB4+ neurons were modified to light up when activated. Pet-like stroking patterns of touch — and only this pattern of touch — at temperatures around that of human skin activated the neurons, the team found, inducing a pleasant sensation in the animal. These neurons are connected to hair follicles in the skin and are relatively widely-spaced. Their layout is what makes them only respond to long stroking motions, and not more localized ones like pinching or poking. We also have these neurons built into the follicles of hair-covered portions of our skin. This suggests that MRGPRB4+ neurons respond to touch on the skin itself, not to motions transmitted through strands of hair. This is also supported by the fact that an individual can experience a pleasant sensation from petting, hugging, or stroking even after experiencing hair loss or shaving; if the MRGPRB4+ neurons were tied to hair strands, instead of follicles, this wouldn’t have been the case. “The researchers suspect similar sensory neurons with comparable properties exist in humans and most furry mammals,” explained David Anderson, one of the study’s co-authors. To validate these findings, the team further modified some mice so that the same neurons could be activated biochemically, via a drug injection. When given the choice between two chambers, a control one where nothing happened and one where the drug-induced touch sensation occurred, the mice opted for the latter. This implied that the animals actually found the sensations caused by MRGPRB4+ neuron activation to be pleasurable. The mice also showed fewer signs of stress after receiving their chemical pat. So, to recap, furry, hairy animals (i.e. mammals) enjoy the sensation of being pet. It is mediated by neurons connected to hair follicles in the skin and only caused by deliberate, slow, gentle, and relatively long strokes on the skin or fur. But we’re still missing a why — why did mammals evolve to experience pleasure from these patterns of touch? Image credits Anthony / Pixabay. For mammals, especially social ones, touch is a great way to make friends and strengthen bonds. Our wild cousins groom each other to remove harmful parasites from their fur since they can’t do it by themselves. But past research has shown that they engage in this behavior far more than than necessary from a purely hygienic standpoint. So, while grooming might have a very practical, even critical purpose, primates also seem to simply get a kick out of it and do it for fun or to socialize. It’s how they hang out. 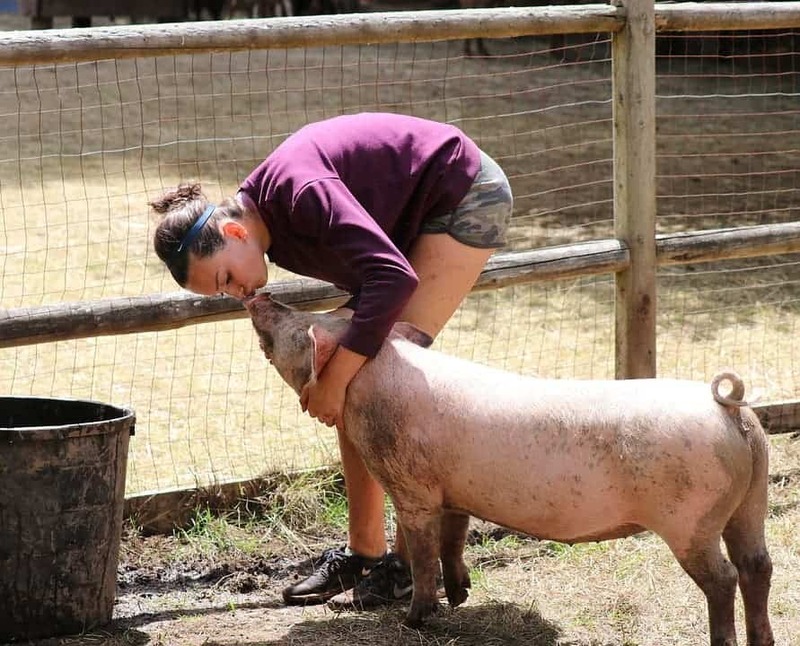 Us humans aren’t typically big on public displays of grooming, but we also employ touch socially. Hugs, handshakes, a tap on the shoulder, they’re small gestures that can go a long way in strengthening familial or social bonds. 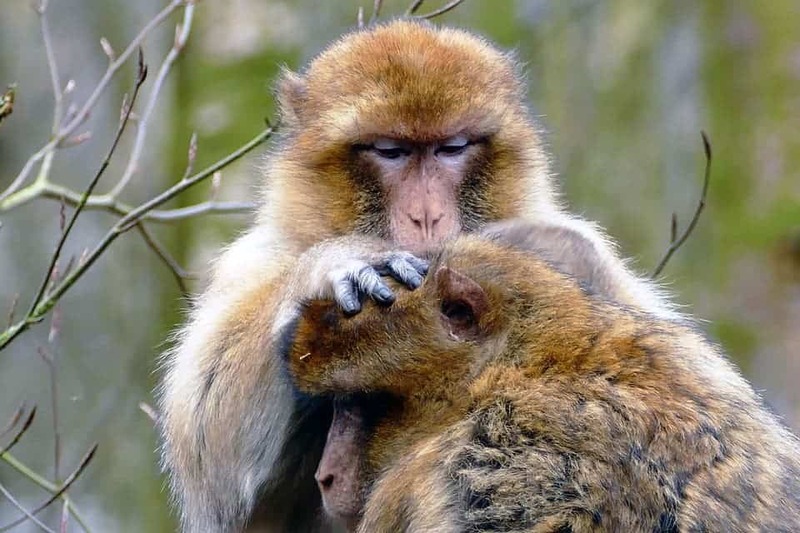 The mammal enjoyment of pats probably started out as a practical ritual — for example, as grooming — and our physiology later evolved to encourage the activity with positive sensations. Such behavior likely represented an evolutionary advantage as it promotes health, hygiene, bonding, and trust among the group, thereby increasing the survival chances of all its members. Alternatively, it is possible that this enjoyment of pats helps baby mammals keep warm by balling up together with their parents and siblings, thus conferring a selective advantage at a young age. Regardless of why it happens, the end result is extremely effective at promoting bonding, social interaction, and good moods. Activation of the MRGPRB4+ neurons releases endorphins and oxytocin into the brain (these help with pain relief, relaxation, and bonding) and may lead to temporarily-reduced cortisol (a stress hormone) levels. This chemical cocktail puts us, or our pets, at ease, nips aggression in the bud, and induces a state of pleasure. What they found was that stroking heavily activates neurons in the somatosensory cortex initially, although this dwindles in intensity over time — likely due to stimulus habituation. Stimulus habituation is the thing that makes you less sensitive to a particular smell after being exposed to it for a while, why you eventually stop feeling the chair under you or the smartphone in your right pocket. At the same time, activity levels in the orbitofrontal gyrus (OFC, also known as the orbitofrontal cortex) and the putamen increase, stabilizing at about 20-minute mark. Certain structures of the insular cortex (the posterior insula) also see greater activity during this time. The team believes this increase in cerebral activity comes down to the subjective pleasure each participant was feeling — pleasure is how your brain rewards you for doing something. The workings of the orbitofrontal cortex have been linked to depression in humans. In particular, reports one study published in Brain in 2016, subjects with depression showed weaker neural connections between the medial (middle) OFC and the hippocampus, which is associated with memory. They also showed stronger neural connections between the lateral OFC and other areas of the brain. The study worked with 421 patients with major depressive disorder and 488 control subjects. The study’s authors explain that the medial OFC activates when processing or ‘administering’ rewards in the form of pleasure. It’s not yet understood exactly what those weaker connections mean, but it does suggest that people with depression may find it more difficult to access and recall happy or positive memories. At the same time, the lateral OFC — which enjoys stronger connections with other brain areas — is involved in processing or administering the non-rewards: science-speak for ‘punishments’. To tie it all into a neat little bow, one paper published in Current Biology last year reported that the “lateral OFC is a promising new stimulation target for treatment of mood disorders” such as depression. The team worked with 25 subjects, using electrodes to stimulate various areas of their brains while monitoring and recording their (self-reported) mood via a daily questionnaire. Patting, stroking, massages — they activate the neurons in the OFC, which is exactly what the team achieved using their direct stimulation techniques. A literal gentle touch, then, may be just what you need when you’re struggling with depression. And hey, if nobody’s around to pet you, grab a brush, clear out 20 minutes of your schedule, and go hack your OFC.